A small team of passionate beer-loving mates from Melbourne have put together a new show to share their beer journey with anyone daring to cross the border to television’s ultra-high-frequency spectrum. The Beer Frontier is a weekly half-hour show, screening at 8:30pm every Saturday night on C31 Melbourne – Melbourne Community Television – a not-for-profit community television service providing locally-based entertainment. Lead by Gage Rossiter, a teacher of beer, wine and spirits sensory evaluation at Swinburne University of Technology, the show has been constructed to bring the basics back to beer reviews and open up the flourishing local beer industry to Victoria’s TV viewers. After learning some valuable lessons about creating an independent television through his involvement in 52 episodes of Wine Squad (which also aired on C31), Gage sought to refresh his consumer focused reviewing endeavours, turning to beer. you don’t need to speak with Gage for long before his commitment to providing an honest and ethical representation of the beer industry and its products is clear. He proudly declares the show’s commitment to fairness and independence. Gage and Robert open each episode by reviewing beer that they have selected themselves and purchased with their own money. They discuss the style and expectations for its taste, seeking to educate their viewer in the often inexperienced world of beers beyond domestic lager. Unimpressed by the often complicated professional beer reviewing and marking systems, which are generally irrelevant to their key audience – the novice drinker – The Beer Frontier’s reviewing system is simple. They consider the balance, length and complexity of the brew and ultimately pass judgement on their personal preference of whether they naturally like the beer or not. A star score out of 5 is awarded so that any viewer will be able to understand. Whilst their reviews from the first several episodes caused a range of responses from critics, Gage is adamant that they are fair. Staying independent of any commercial and industry influences allows them to be bold and individualistic. “Someone’s got to know about the bad ones”, Gage says in response to suggestions that they should not air reviews of beers they do not like. This was evident right from Episode 1, when the popular Hawthorn Brewing Amber Ale scored 1 star and 2 stars from Gage and Robert respectively. Then during Episode 3 the Flying Horse Brewery’s ‘Whale Ale’ scored just half a star from Gage and only 1.2 starts from Robert. It is a refreshing honesty that potentially has the power to drive broader community discussion and interest about the diversity of beer. Keeping the show moving and engaging are the practical segments featuring Ben and Enzo. 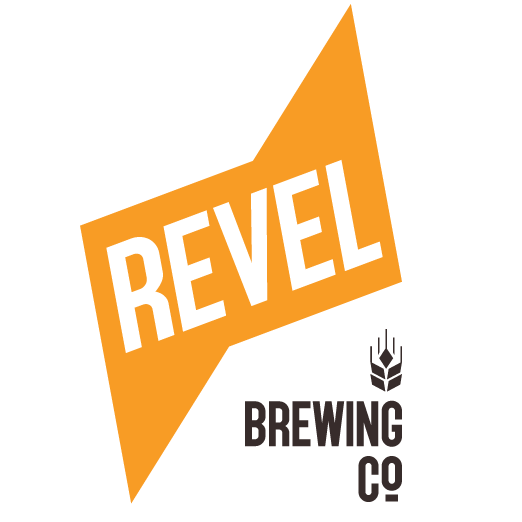 Straightforward homebrewing instruction and tips are offered by Ben Lee, who has studied Brewing at the University of Ballarat, as well as obtaining professional brewing experience during his time with Melbourne’s 3Ravens. Whilst the substantial and seemingly costly equipment he uses may not be obtainable by many homebrewers, Ben’s lessons are insightful and easy to follow. Gage’s teaching colleague at Swinburne University of Technology, Enzo Frisini offers a brief lesson cooking with beer. His recipes have included a Welsh rarebit inspired risotto using the Grand Ridge Brewery Gippsland Gold pale ale and a flourless beer chocolate cake with the Polish Okocim porter as an ingredient. “This is not a cooking show”, Gage declares. 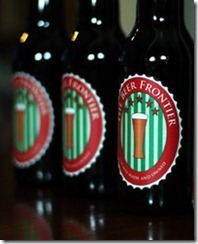 Rather, The Beer Frontier seeks to expand their viewers’ appreciation for beer to something more than just drinking. Notwithstanding, Gage has already received a number of emails and requests for general cooking advice and feedback, far beyond what they ever intended for this Beer Frontier segment. The episodes are wrapped up with a look inside a microbrewery and a chat to the people behind the scenes of those breweries. 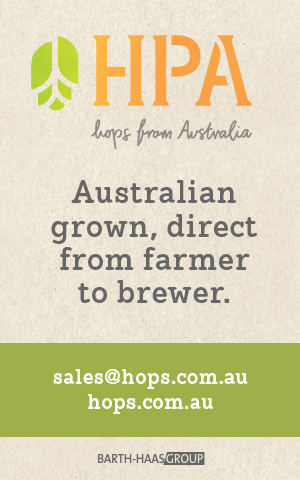 Mountain Goat, 2 Brothers, Coldstream Brewery and the Little Creatures backed White Rabbit have all featured on the show so far. The Beer Frontier’s production standards are clearly bargain basement, exemplified by the “Keg Room” set used by Gage and Robert for their tastings, which actually is in Gage’s home basement. However, this is expected from the amateur nature of community television. Further, it actually works beautifully for this unpretentious show. The Beer Frontier team know that their little show is having a positive impact, after receiving over 70 emails from the general public since the show began, with a healthy 24% of those emails coming from female viewers. Currently, the thirteenth and final episode of series one is almost in the can and Gage is now looking forward to gaining the support required for a second series. Ultimately, Gage would love to see the show make the leap across to the next frontier – mainstream television. With a Channel 31 alumni including Rove McManus, Hamish and Andy, Corrine Grant and even the notorious Blokesworld all graduating from the community station, mainstream TV interest is not out of the picture. Until then, The Beer Frontier is best enjoyed from your couch with a beer in one hand and the TV remote safely secured away from anyone who would dare attempt to change the channel away from quality amateur television. Note: Whilst only available on TV to Melbourne viewers, C31 allows anyone to view entire episodes via their website.